Stop dreaming and jump on this BEAUTIFUL, custom Kicklighter pool home in a gated waterfront Community of only 6 homes. 18' Sea Ray boat & trailer INCLUDED with acceptable offer! Great Mandarin location, this home features lots of detail & moldings. Gourmet kitchen w/42'' cabinets w/rope trim, SS appliances, granite tops & large walk in pantry. Open to large Breakfast area with a gas F/P. 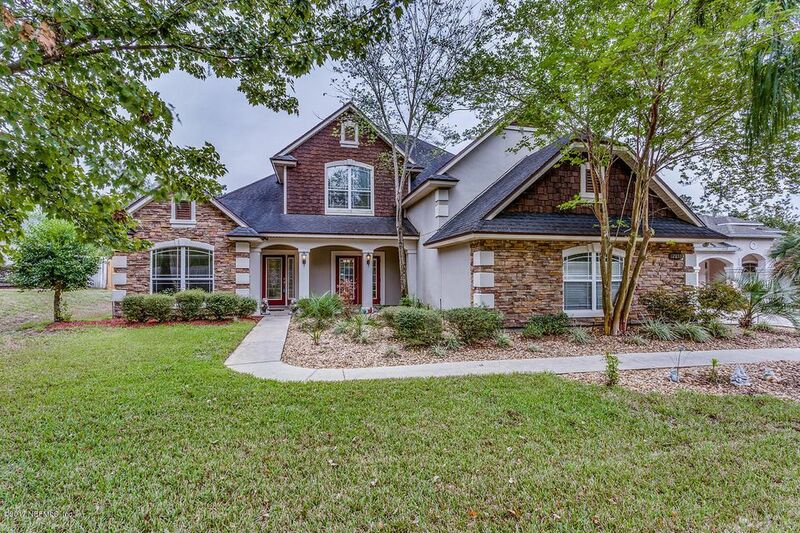 Formal LR & DR, Master down, generous Family room. Movie theater rm. upstairs, LOTS of storage space. Screened pool area w/spa has lots of trees for privacy. Great for entertaining! Deeded boat slip is right at the end of the street with a 10,000 lb. boat lift, relaxing Community dock area with water & electric, deep water canal access to the St. Johns River. Yes, you can have it all! This home has been on the market since Nov 07,2017. Courtesy of ROUND TABLE REALTY.